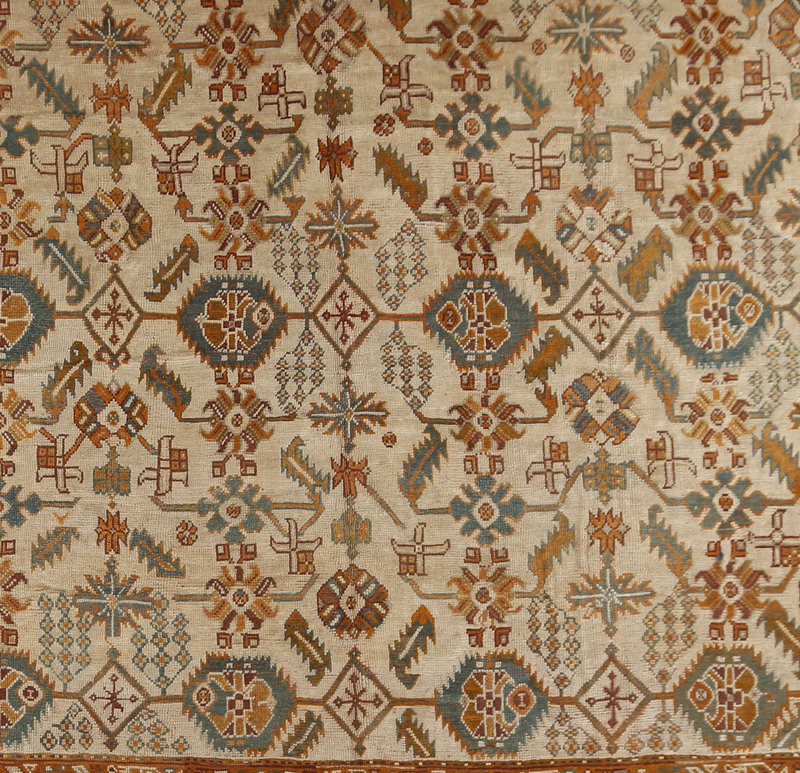 Oushak carpets, from western Turkey, are often in patterns ultimately derived from Persian sources, but with bolder, simpler renditions of familiar elements. This striking ivory ground example employs an allover design of saw tooth edged leaves and hexagons, colorful rosettes, ultra-stylized wisteria sprays and various floating semi-floral elements. The almost wholly geometric main border alternates tridents, leaves and lozenges. The orange ochre guards utilize carnations and abstract leaves. 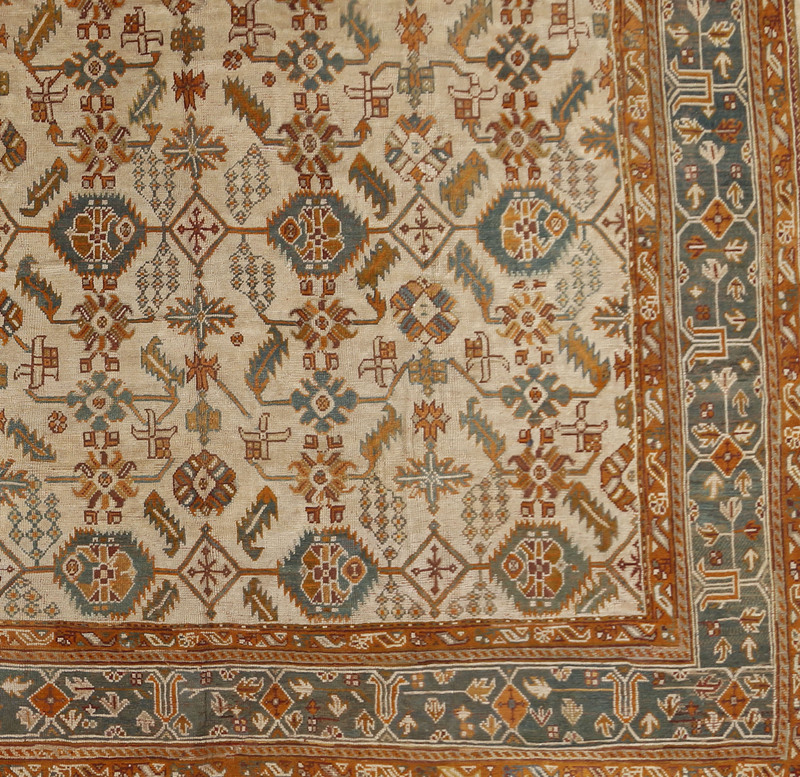 This type of Oushak is most commonly found in Britain and it is probably an early creation of the British carpet conglomerate firm Oriental Carpet Manufacturers, at that time by far the largest producer and importer of handwoven carpets to both America and Europe. 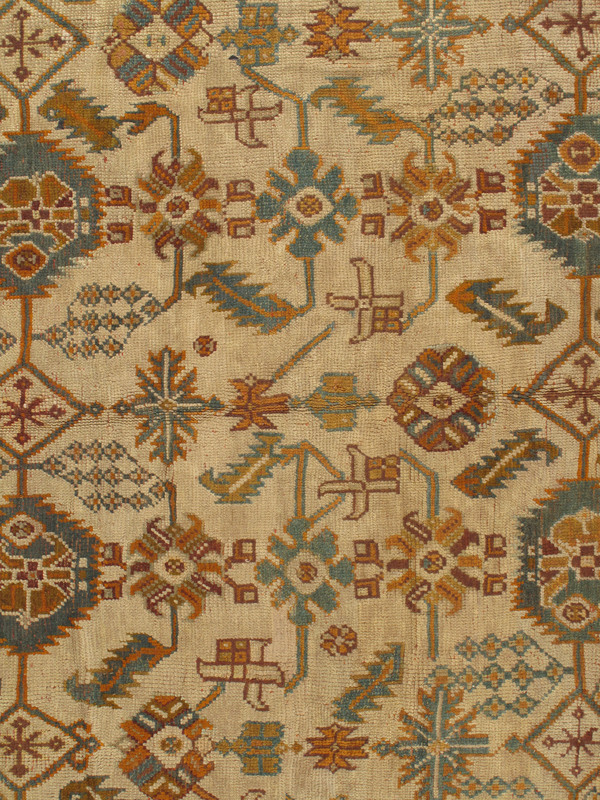 As in all Oushaks of the period, the construction is all wool with a loose weave. 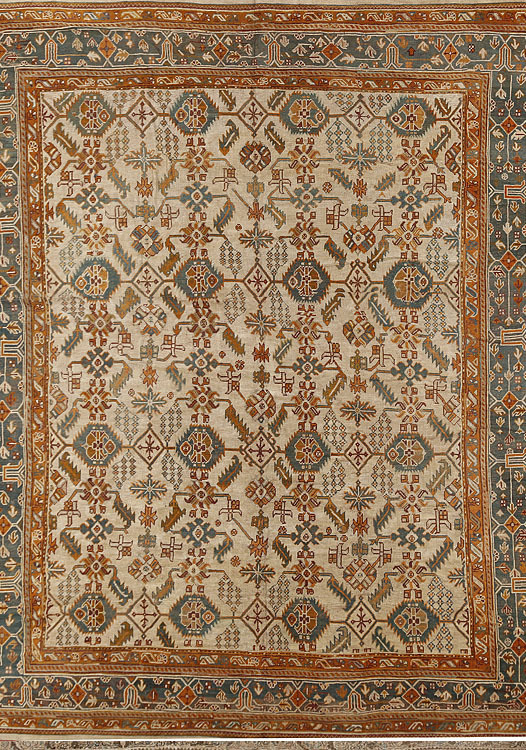 However, these carpets wear well and a low, but even pile, as on this highly decorative carpet, is considered desirable. 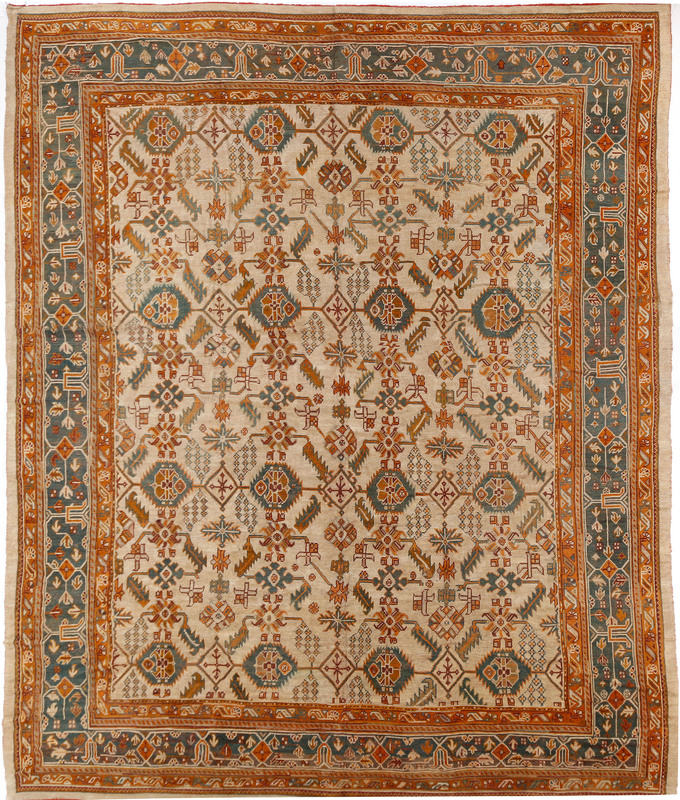 Only very rarely are room size Oushak carpets found in worn out condition. 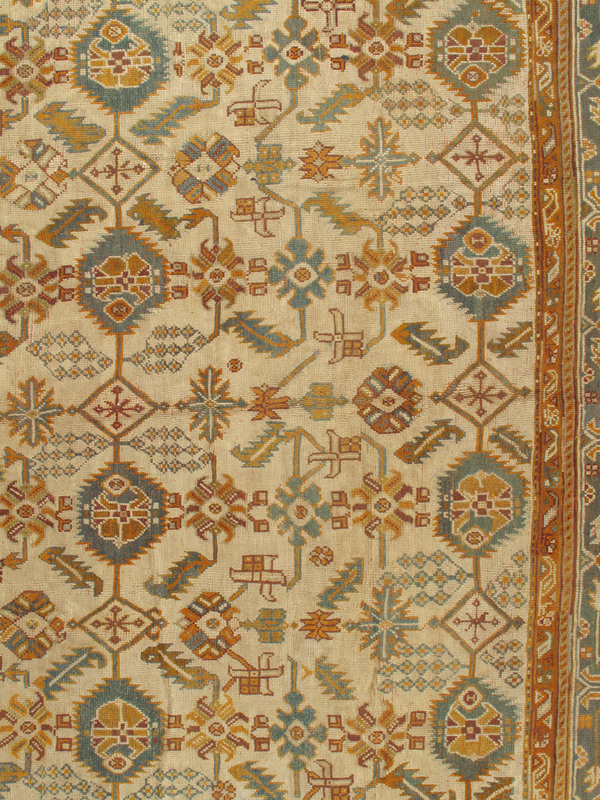 This piece is at the perfect decorative peak, with a crisp pattern, clear colors and plenty of life ahead as a distinctly usable floor covering.